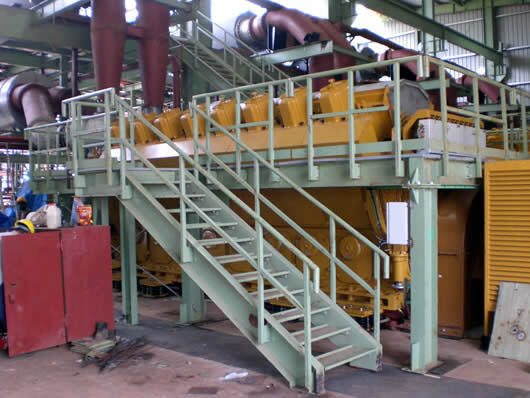 To support their mining expansion plans, Sierra Rutile Limited required that their existing, diesel based power station, dating from the 1960s, be replaced with a new, HFO power plant. A 28MW, Caterpillar Power Generation Systems plant and equipment package was purchased for this purpose. The package included detailed engineering and design of the plant but did not include construction or the supply of the necessary mechanical and electrical materials and minor equipment. Lord Consulting Engineers, acting in the capacity as project consultant, managed the project from original purchase order through to final testing, commissioning and handover. This necessitated the engagement of various, specialist contractors and other consultants, in collaboration with the Client's management, to deliver the project. The new power station was completed and handed over to the Client in March 2009.